The Dayton region is known as the crossroads of innovation, but it is much more. The Miami Valley has a long history of innovation. In the early 1900s, Dayton became the invention capital of the United States, with the most patents per capita. As the birthplace of aviation, Dayton is home to the National Museum of the United States Air Force—the oldest and largest military aviation museum in the world and Ohio’s No. 1 tourist attraction—and one of the country’s premier air shows. The city’s other influential inventions include the cash register, the self-starting ignition for automobiles, the pop top beverage can, the electric wheelchair, the stepladder, and the parking meter. 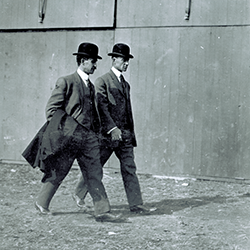 Visitors can explore this rich history and see the original 1905 Wright Flyer III, a large collection of cash registers, and other gems of local history at Carillon Historical Park. The region’s arts scene is more vibrant than that of many larger cities. 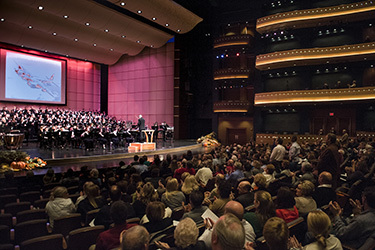 The Benjamin & Marian Schuster Performing Arts Center is a world-class facility offering the best in local, national, and international performing artists. Dayton Opera and the Dayton Philharmonic Orchestra call the Schuster Center home, and it showcases the latest Broadway shows and traveling productions. The city’s cultural flavor also includes the Dayton Ballet, the Dayton Contemporary Dance Company, the Human Race Theatre Company, and numerous community arts organizations. The historical Victoria Theatre is stage for many of these performers, and five other major-event venues also host shows and concerts. In the world of visual arts, the Dayton Art Institute offers an outstanding collection of 26,000 works of art. 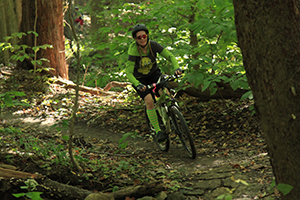 The Miami Valley is a great place for outdoor adventurers. The area has seven MetroParks, as well as more than 35,000 acres of parks, nature preserves, and a popular river corridor along the Great Miami River. Bikers can explore more than 330 miles of trails, with more coming through rails-to-trails initiatives. Rural Greene County offers hiking in the Clifton Gorge State Nature Preserve, the Glen Helen Nature Preserve, camping and hiking in John Bryan State Park, and canoeing along the Little Miami River, Ohio’s first stream to be named a National Scenic River. Sports enthusiasts are glad to call Raider Country home. 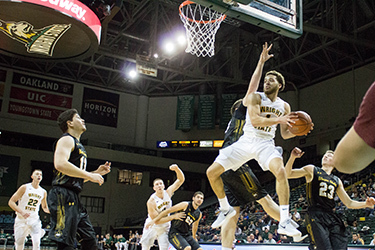 With Wright State’s NCAA D-I sports program and professional teams in Columbus and Cincinnati, the region provides ample opportunities for sports fans. The NCAA includes Dayton in its list of Nine Great Basketball Towns. Each year the NCAA tournament begins in Dayton, site of the First Four games that trim the field to a 64-team bracket. The Dayton Dragons baseball team was named one of the “Top Ten Hottest Tickets in Sports” by Sports Illustrated magazine. The Miami Valley’s prime position near the intersection of Interstate 70 and Interstate 75 makes it easy to visit major cities like Cincinnati, Columbus, and Indianapolis. The Midwest’s largest amusement and waterpark, Kings Island, is just 35 miles south of Dayton. World-class museums, indoor and outdoor concert halls, riverboat cruises, award-winning zoos, and professional sports teams are all within a one-hour drive. 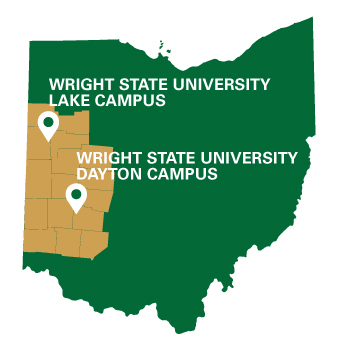 Raider Country is the contiguous 16-county region in western Ohio anchored by Wright State University’s two campuses. Also home to Wright-Patterson Air Force Base, the region is known for its strengths in information technology, aerospace research and development, advanced materials engineering, and health and human services. 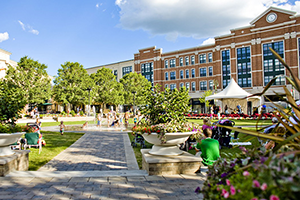 Raider Country features gourmet restaurants, eclectic shops, green spaces, and excellent schools.